Prairie Faith Shared Ministry :: Join Us! Currently serving these congregations are Pastor Randy Gibbs and Pastor Jon Anderson along with our newly assigned intern, Kim Frederking. Pastor Gibbs primary congregations are Bethlehem and Immanuel. Pastor Jon primarily serves Our Redeemer and Zion. St. John Lutheran Church is the host site for our intern. Intern Kim serves St. John and Emanuel. Once each month the Pastors and Intern rotate, except for designated months that we have a joint service. The joint services are usally held at Bethlehem, St. John, and Zion. 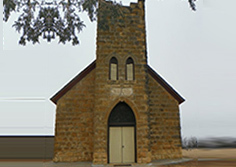 Bethlehem Lutheran Church is a congregation of 314 baptized members and average attendance of 75 located in the small town of WaKeeney, Ks. They celebrated their 100th year in 2005. It’s makeup reflects the community; a large population of elderly, German and German Russian ethnically. There are a good number of young families, however, and Christian education is done for all ages at Mid-week school on Wednesday evenings. There is a children’s choir as well. Services are Sunday mornings at 10:30 a.m.
Emanuel Lutheran Church is located 9 miles South of Ogallah, Ks. 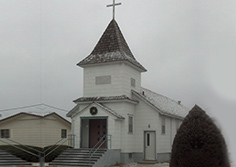 It is an open country congregation known as the Swedish Lutheran Church. The Baptized membership of Emanuel is 16 and average attendance of 7. Educational opportunities are provided through the program at Bethlehem and Zion. 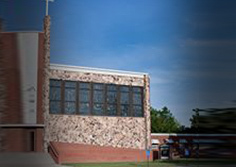 Services are Sunday mornings at 9:00 a.m.
Immanuel Lutheran Church is a congregation of 37 Baptized members and average attendance of 17 located also in the small town of WaKeeney, Ks. Worship at Immanuel is at 9:00 a.m. on Sunday mornings. Educational opportunities are available through the program at Bethlehem. 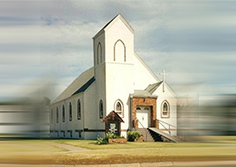 Services are Sunday mornings at 9:00 a.m.
Our Redeemer Lutheran Church is located in the small town of Ness City. It has a Baptized membership of 69 and average attendance of 18. It is an ethnically diverse congregation. Educational opportunities are provided on site and in conjunction with the programs at Bethlehem and Zion. 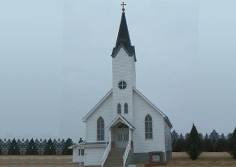 Services are Sunday mornings at 9:00 a.m.
St. John’s Lutheran Church is located 8 miles North of Ellis, Ks. a community of about 1873 people. It is an open country congregation and the host site for the internship living arrangement. It has a Baptized membership of 153. They are known for their excellent choir. They have an active Sunday School. The membership of this congregation is diverse in that they come from four or five of the surrounding small towns. It’s ethnic background is German and German Russian. 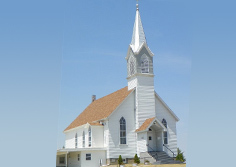 Services are Sunday mornings at 10:30 a.m.
Zion Lutheran Church is a congregation of 179 Baptized members and average attendance of 50 located 9 miles south of the small town of WaKeeney, Ks. At one time there was a small village there called Trego Center. Zion is an open country congregation of German and German Russian ethnicity. They also are celebrated their 100th anniversary in 2005. ervices are Sunday mornings at 10:45 a.m.